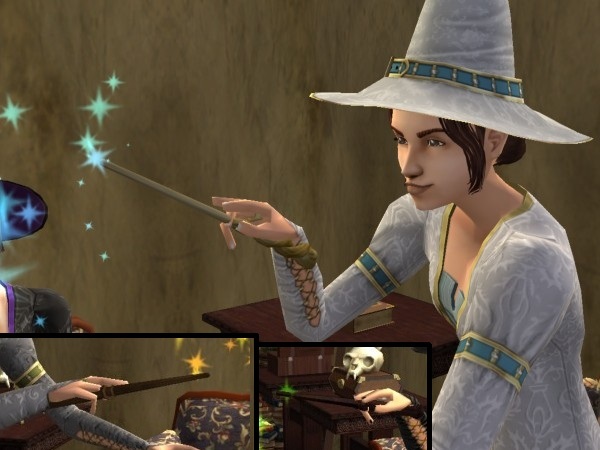 As a request for Vuokkosims, I have made Default replacements of the Apartment Life witches' brooms and wands, using the meshes I extracted from The Sims 3: Supernatural. 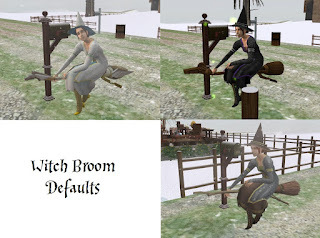 Make sure to remove any defaults you already have of the witch brooms and wands when you put these in your downloads folder. With the brooms, When they pull out the broom to get on, the animation is not as smooth as with the maxis broom. I think the broom has some of that animation, and I don't know how to do animated objects. However, it works and it does look alright- hope you like it! Hi! thank you so much for this replacement, I made a special post in magic finds here http://simsmagicfinds.livejournal.com/2098.html so everyone can enjoy this! Sorry, I don't take requests using other people's meshes. =c Ohh, I think the owner will not mind if you use her mesh, the reason why she put a link to download it. Ah, Can you converting Maxis's adult Clothing to Teen? I love this Adult dress and shoes, but I use a teen Sim.